Microsoft acquired GitHub. What's the aftermath? Microsoft has acquired GitHub . Is this affects the open source projects like Communitheme ? There are still downsides to GitLab.com, it’s less free-as-in-free-beer than GitHub.com (I understand that GitLab is doing a great job of being FOSS and paying their bills whilst still being mostly free for their hosting) and apparently this is incorrect. I doubt Microsoft would suddenly lock away all FOSS repos? Would that even be legal? So for those who want certain features and don’t have cash, GitHub.com is possibly the better option. Though there’s also a risk that Microsoft follows suit with GitLab.com and makes certain features paid even for FOSS projects, and then GitLab wins simply because it’s FOSS and can be forked if necessary or self-hosted. The most interesting part is at the end that blog. I fear that they merge atom and vscode, I like atom’s UI. I don’t think there is any difference: GitHub was proprieratery, it stays the same. I don’t see any move for FLOSS projects from Microsoft’s side or it will be a deal breaker for the greatest GitHub assets: the amount of developers there. Then, companies are hosting their own private repos on GitHub because most of open source librairies and projects are there, and so, devs are used to it. Admittedly there’s probably little difference other than a bit of uncertainty as to the future… still, I think this is a reminder as to why using FOSS projects like GitLab (where possible) is probably a good idea… With proprietary projects if they do something you don’t like, there’s nothing you can do, with FOSS, the project could be forked and the original version often uses a much more open development model that allows users to voice concerns (and devs to answer) in a public fashion, which can alleviate dissatisfaction in the first place. ‘Reporting to’ means in other words, one takes commands from the guy, who one is reporting to. Chris Wanstrath was the CEO and co-founder of GitHub, but is becoming just a technical fellow under orders. Orders are orders, you either follow orders, or leave. As a CEO, one gives orders, but as an employee, you get orders. 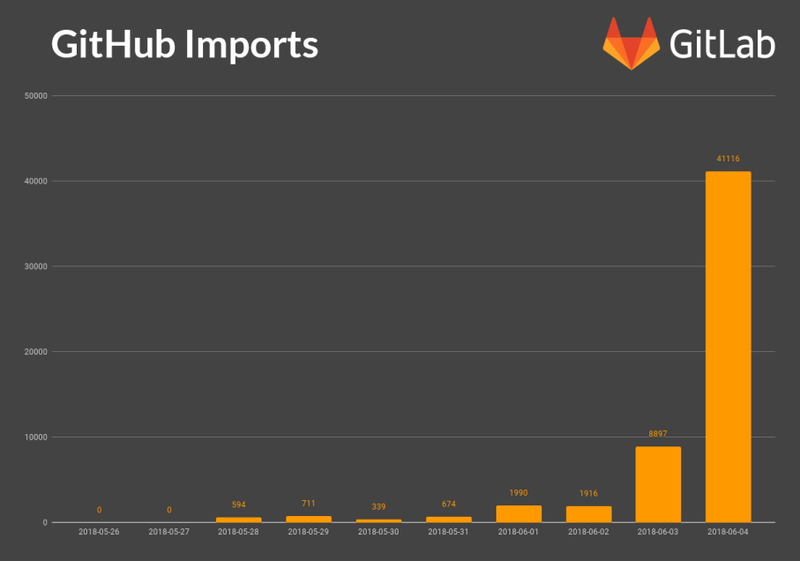 "This week Microsoft announced that it is purchasing GitHub for $7.5 billion in stock… The bottom line: This is pretty good news for the world of Open Source and we should celebrate Microsoft’s smart move. " The Executive Director at The Linux Foundation. Good article @chanath - thanks for posting. "Proprietary software vendor buys centralized proprietary software to share free software. Great news!" In all honesty, since Microsoft also owns VSCode (which is a big deal; pretty much all web devs use either that or Atom … which is GitHub and now Microsoft anyways) they only need CI/CD integration and they provide a full-blown, competitive proprietary platform that competes with FLOSS (i.e. Linux + Docker + Kubernetes + GitLab + <insert-editor-here … atom is dead>). This is dangerous to say the least. And, I know, VSCode is Open Source, but not Free as in Freedom (you’d have to use the Code OSS build for that: https://flathub.org/apps/details/com.visualstudio.code.oss) and includes proprietary extensions that will most likely be integrated with GitHub soon. You know what this sounds like? Embrace-Extend-Extinguish! Embrace Git, Linux and Containerization, add some little proprietary addons (i.e. issues, pull requests, live editing (Atom Teletype)) that make the experience just a tiny bit better, make everyone use it by setting them as the defaults (and praising them as “team services” or “microsoft flavored git” … whatever) and lobbying, then start providing discounts for cloud hosting (see Amazon Linux as an example), and then stop following open standards and “branch out” of FOSS. There are reasons why everything (or next to everything) that Microsoft produces is MIT and not GPL-3.0/AGPL-3.0. What I can’t fathom is why the executive director of Linux Foundation says “this is pretty good news.” In my thinking, whatever MS buys is not good news FOSS, if that is any way connected to FOSS. I’m neither a programmer or developer, but as a consumer I’ve observed Microsoft behaving like the proverbial 500-pound gorilla using its weight to move markets. The US Justice department characterized Microsoft’s strategy as EMBRACE, EXTEND, EXTINGUISH. This strategy was applied to HTML where Microsoft-proprietary ActiveX extensions were included in Internet Explorer (and bundled in Windows.) As web developers began to take advantage of the features, we began to see notices “This web site requires Microsoft Internet Explorer to function properly.” The premier web browser at the time was Netscape Navigator – I paid $80 for my copy, and a month later Netscape became freeware as Mozilla to compete with IE. Microsoft’s strategy for gaining market dominance is complex and long-range. Any spot-analysis would only be speculative. I’d like to add here, however, that I don’t consider Microsoft “evil” as many people feel. I believe that this is simply the natural behavior of corporate entities, much like what we see in the biological world. FWIW, the E-E-E strategy might provide an interesting insight applied to the Open Source industry. BTW, thanks to Abhishek Prakash of It’s FOSS for the Wiki link. Further to this discussion, thought I’d point folks to this A regular show about MSFT and OpenSource. Might be interesting for those of us that still view MSFT as the big bad monopoly. My how times have changed. MS is enforcing pretty aggressive policies on gh now. users flee from the portal in droves. Not any that I watch thus far. Only good things have happened so far. I hope it stays that way.